Are you our next rising star in risk management? 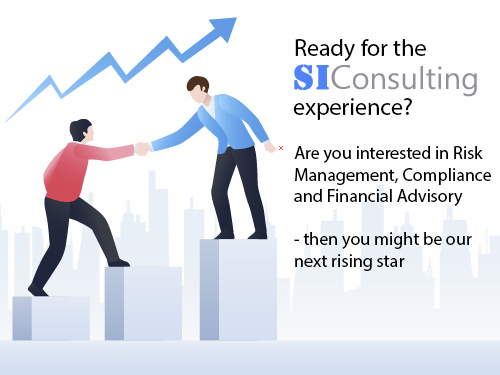 SI Consulting is a consulting company based in Stockholm with customers in the Nordic banking and insurance industry. The company has a flat organization with a young team that together develops the company both internally and externally, where everyone is expected to build and develop the company. When we are not out consulting our clients, we often meet for common gatherings, training sessions, conference trips and dinners organized by the company.